Hang on tight....Desert Secrets takes the reader on a daring attempt to rescue Colton Landry's brother-in-law, Bret. Bret is being held for ransom in Northern Africa. Unknown to Colton, another hostage is being held with Brett. The other hostage is Lexi Shannon. She volunteers with the various tribes to help them find clean water sources. She learns she was kidnapped as a means to locate her brother, Trent. Lexi has no idea where her brother is or why the kidnappers would want him. Colton Landry is an ex-military pilot who plans this mission to rescue Bret. Finding Lexi with Bret. Colton takes them both with him. Racing through the sand dunes, they finally reach the escape airplane. But before they are in safe territory, it crashes in the desert sands. How will they survive? How will they contact anyone to find their location? Then Bret get bitten by a scorpion. Will he live? This book has vivid descriptions, thrills, chills with suspense, mystery and plenty of twists and turns. There is even a touch of romance and much needed faith in God's help. The writing is captivating!!! I highly recommend this Love Inspired Suspense book. 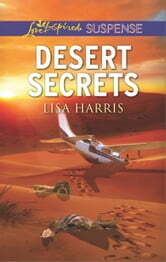 I volunteered to read "Desert Secrets". Thanks to the author for the opportunity. My opinion is my own. 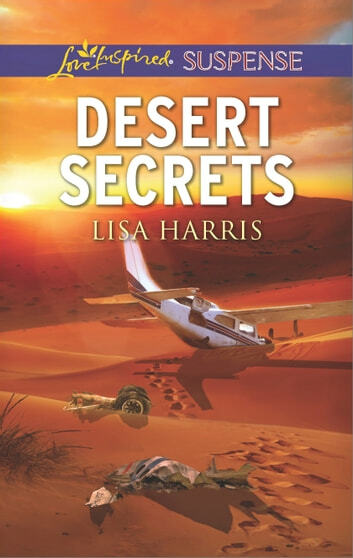 "Desert Secrets" is another great suspense novel from Lisa Harris, featuring exotic locales, non-stop action, thrilling adventure and wonderful characters who place their faith and trust in God. Lisa Harris is one of those authors whose books just demand that you read them. Once you start reading, it's nearly impossible to stop. All of the action is believable and could be pulled from today's headlines, and the situations they find themselves in and how they manage to extricate themselves, make for an action adventure thrill ride that's akin to watching a great movie. There's always a wonderful romance, and the author manages to bring up thought-provoking questions of life, faith and God, easily and unobtrusively woven throughout the story. This is another excellent book by an excellent author.